Join me for an experiential small group meditation workshop in a new way of clearing and healing. This workshop will give you an introduction on how (trauma) clearing and healing is possible through Light Grids and guided meditations. We’ll also experience how we can take the Light Grids healing into the Quantum Field. 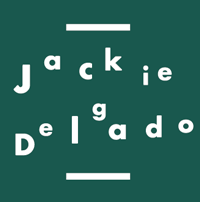 Sign up by sending an email to: info@byjackiedelgado.com. Limited seats/yoga mats available. The workshop will be in conducted in Dutch or English, depending on the attendance of international attendees. Light Grids healing technique is a new means of Spiritual and Physical Clarity brought into this world by Damien Wynne. Through connecting with the body, mind and spirit using visualisations, guided meditations and by bringing in frequencies we allow the subconscious mind to bring up what needs to be healed in your system. It clears layers of past traumas, pain, fears, blocked emotions, mental and emotional patterns caused through life’s experiences in an effective, significant and respectful way. It allows clients to take back their power and responsibility leaving them free of programming and fears that were blocking them from living their fulllest potential. Thus allowing them to come more in alignment with their core and higher selves.